On Wednesday, July 19, Gov. Jerry Brown announced he had reached an agreement with the Wilton Rancheria on their proposed gaming facility in Elk Grove. Following Brown's action, the compact needs approval from the State Senate and Assembly. One day following the release of Brown's compact, on Thursday, July 20, Cooper introduced Assembly Bill 1606. The bill was first introduced in February as edible marijuana legislation but was stripped of that language and replaced with the compact. The legislation says "This bill would ratify the tribal-state gaming compact entered into between the State of California and the Wilton Rancheria, executed on July 19, 2017. The bill would provide that, in deference to tribal sovereignty, certain actions related to that compact are not projects for purposes of CEQA." The bill is being introduced as urgency legislation and would "take effect immediately." To be approved, the compact requires a two-thirds majority in both legislative bodies and is exempt from a referendum. Cooper, who is in his second term as an Assemblymember representing the Ninth Assembly District, previously served on the Elk Grove City Council for 14 years. Unlike current Elk Grove City Councilmembers who are reticent in their support of the casino, Cooper has unabashedly supported the gaming facility. At his town hall meeting held at Elk Grove City Hall on Tuesday, July 18, when asked about the casino Cooper said that it would be good for the community. Cooper did not directly answer a question on whether or not Elk Grove residents should have a say on the casino, which is not uniformly supported by the community. "The one thing about the casino, it will bring jobs," he told the audience. "There's a lot of good things about having a casino." Interestingly, when discussing the recently enacted gas sales tax hike at the meeting, Cooper said he felt the Democrats would probably lose the super majorities they currently have in both legislative bodies. Should AD 1606 be approved in the upcoming session, it will be in effect immediately and will pave the way for the compact to be sent to the U.S. Secretary of Interior for action within 45 days of receipt. According to the State's glossary of legislative terms, urgency legislation is defined as "A bill affecting the public peace, health, or safety and requiring a 2/3's vote for passage. An urgency bill becomes effective immediately upon enactment." Good to see this one-trick pony who normally pushes the law enforcement agenda (and happens to be one of the largest recipients of oil/gas lobbying money in the state), has boldly decided what is "urgent" for Elk Grove and that it should not be subject to public referendum. Sorry little people, you fell on the wrong side of the cash tray. Perhaps it is just me, but I find Mr. Cooper's support of the proposed Indian casino, if nothing else, ironic. Was it not Mr. Cooper who repeatedly said during his 14 year tenure on the Elk Grove City Council he moved here close to 30 years ago because it was a safe, family oriented community to raise his family[ies]? While a city with over 170,000 residents will see an obvious increase in crime - witness yesterday's mini crime spree that included an attempted bank robbery and a homicide - how is adding a 24-hour gaming facility into the mix go toward maintaining Elk Grove's supposed reputation as a family friendly city? 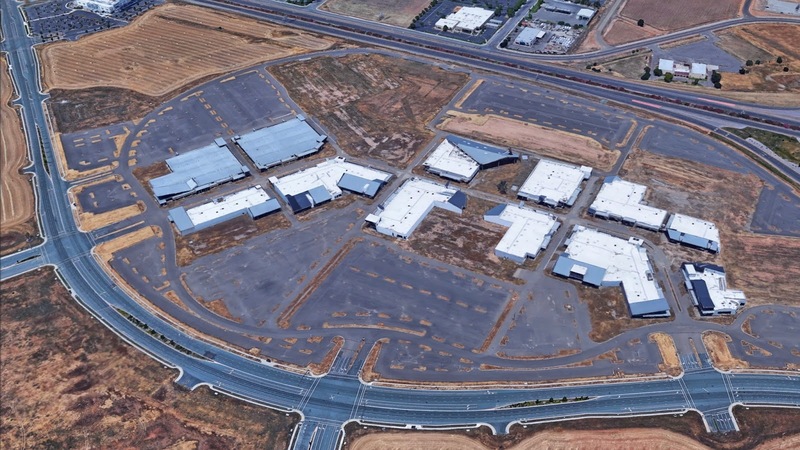 With the casino, Elk Grove is taking the road to resembling communities with tawdry businesses that in the past surrounded American military bases around the world, be it Oceanside and Pendleton of the 1960s in Southern California or Subic. I suppose in the end, Mr. Cooper will take all his pensions, easily six figures in total, from the Sheriff's Department, the City of Elk Grove and the California Assembly and move to Granite Bay. So much for staying in the community you once praised as a safe, family friendly community. If they would do that to their OWN...why not the city, county and state? This just another example of how corrupt the California State Assembly has become inventing excuses to enact Bills that favor their special interests regardless of the negative effects of it on the rest of the community that are stuck living with those negative impacts. One of the many tricks in the bag is the so called "gut and amending" of and existing Bill and then including all of the provisions intended to block the community from getting a fair hearing or seeking to exert their own Constitutional rights!